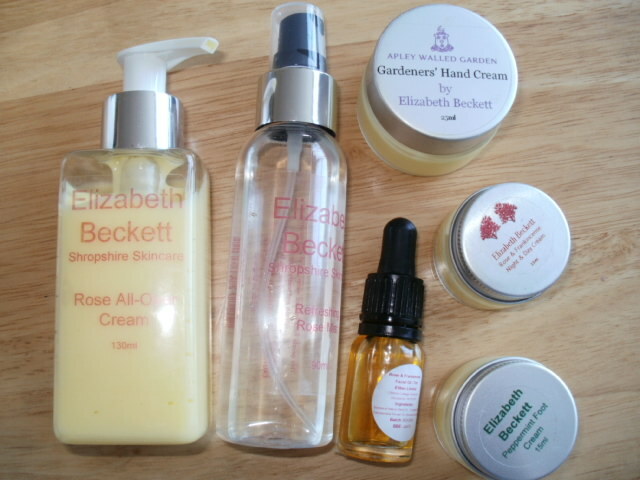 I have been using Elizabeth’s skin care products for around 2 weeks now and i am blown away by how few ingredients there is and how really effective these products truly are! 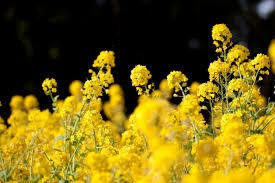 Made from beautifully golden flax oil with no preservatives or parabens they went straight into my skin, left no residue but a lovely healthy glow and calmness, my skin looks healthy, relaxed and happy! 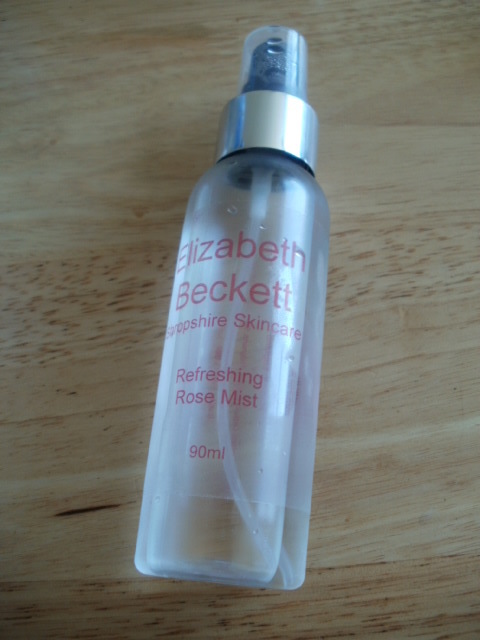 Next is the incredible Rose, Frankincense and Flax face oil … WOW!! 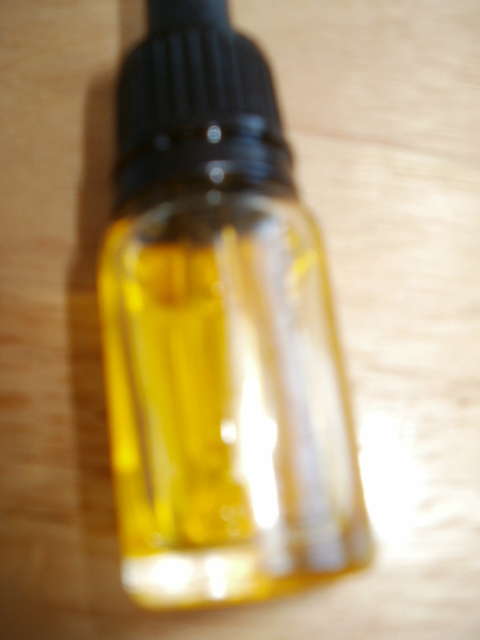 I massage this golden elixir over my face in the evening, it smells amazing with the rose and very fragrant frankincense oils , the heady aroma is so relaxing it seems to help me switch off and relax which is something i find very hard to do but more important than that is, it has honestly improved my skin! Now i use and have tried a lot of face oils but this one is one of the best i have used, i always have a sensitive forehead area, i get little red bumps and dry spots… all gone and replaced with the most balanced skin ever and a lovely glow, i have found myself checking it in the bathroom mirror in the middle of the night lol .. (just to make sure it is really me) its so amazing! 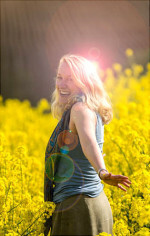 The rose oil calms, takes down any redness, the frankincense is extremely balancing, i don’t think i have even encountered anything that balances the skin so well, it is incredibly rejuvenating, with the lovely golden flax oil being full of antioxidants, essential fatty acids, anti inflammatory properties, this oil works hard on your skin overnight leaving you with a wonderfully nourished glowing complexion in the morning ! 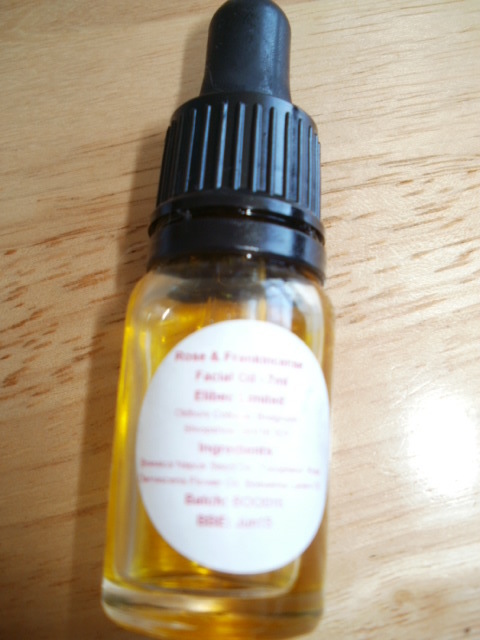 I honestly cannot find enough good things to say about this face oil, its the real deal and its pure golden nectar!! 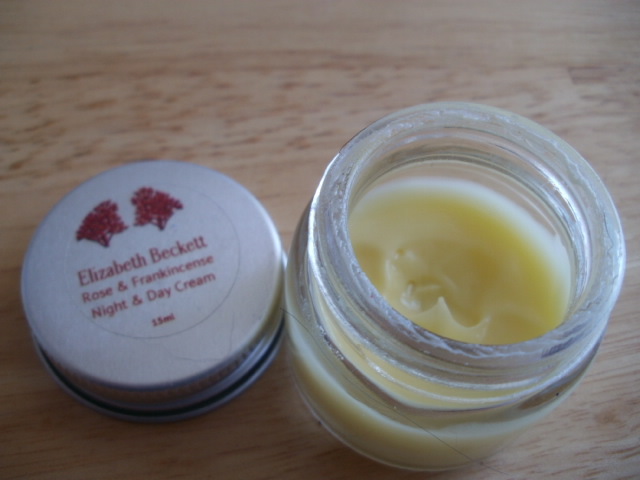 The Rose and Frankincense Day and Night Cream Is pretty much the same ingredients except it’s been whipped up in to a face cream, it will balance oily skins, rejuvenate and hydrate more mature skins nourish and protect, it sinks straight into your skin leaving no residue, smells beautiful, leaves my skin with a lovely healthy luster to my complection. These products are all handmade in smaller batches than you would get from a huge company, they are fresher and they are not packed full of preservatives either! The difference this makes to your skin when using them it really quite amazing, they sink straight into your skin giving you the benefits of the freshest of ingredients … so if you do one good thing for your skin today… give Elizabeth Beckett’s products a go because she has harnessed the power of a trilogy of beautiful skincare oils that can do amazing things with your skin …. 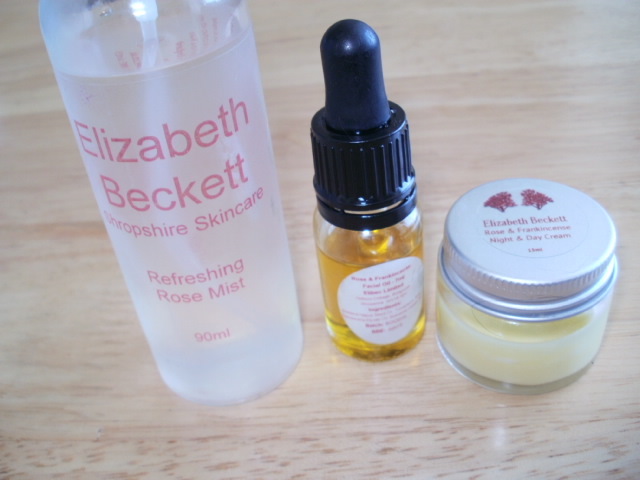 I have fallen in love with Elizabeth’s products so much i went back and bought more! 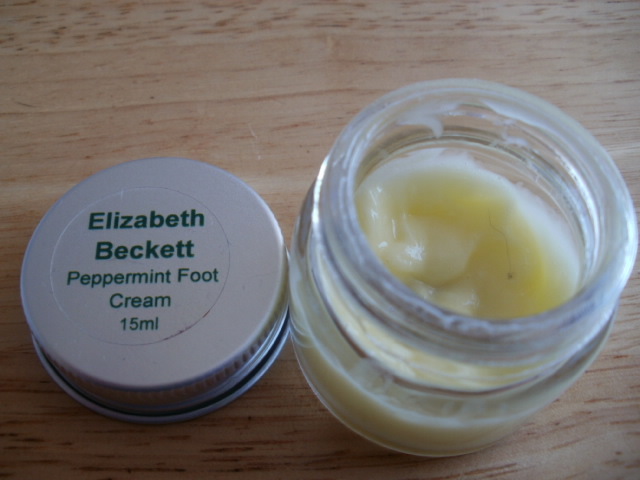 The peppermint foot cream is the mintiest ever lol, it really cools and revives hot, tired, sore feet and again sinks straight in, is very hydrating, the aroma and cool feeling is really long lasting, i can feel it the next morning .. now thats quality!! 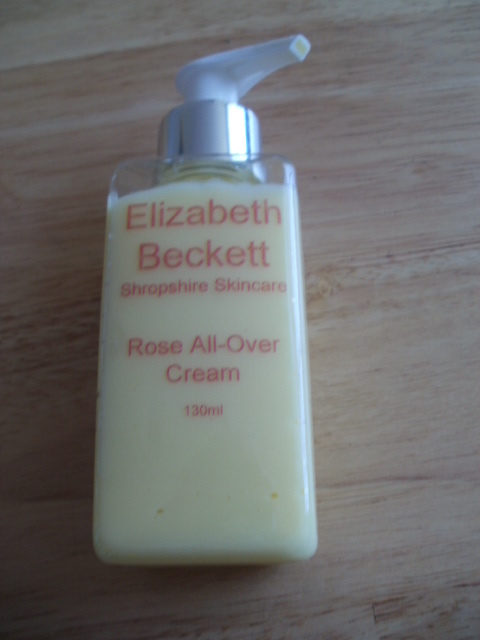 The Rose all Over Body Cream with the wonderful delicate scent of rose petals is another delight, leaving my skin wonderfully hydrated and like silk, it will moisturise the driest of skins (like mine) and leave you glowing! 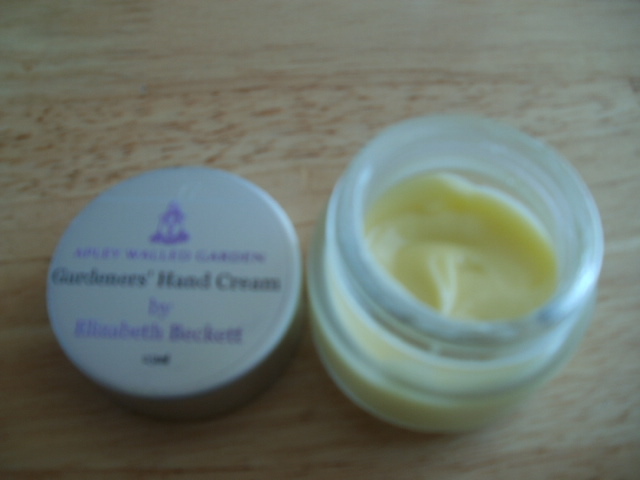 The Apley Walled Garden is another product for the driest, hardiest of hands, my hands have never really recovered from chefing, harsh cleaning products and very reactive skin, again and i believe it to be due to the quality of the oils and the lack or parabens, sinks right into my hands, smoothing and soothing them..
Hand on heart i bought most of these products myself, Elizabeth did add in some samples, they were so good i went back and bought more and so my love affair with her products keeps on growing, they are made with simplicity, love, passion, care and they are really effective, powerful and beautiful …. This entry was posted in Health and Beauty on September 21, 2014 by the40somethingbeautyblogger.